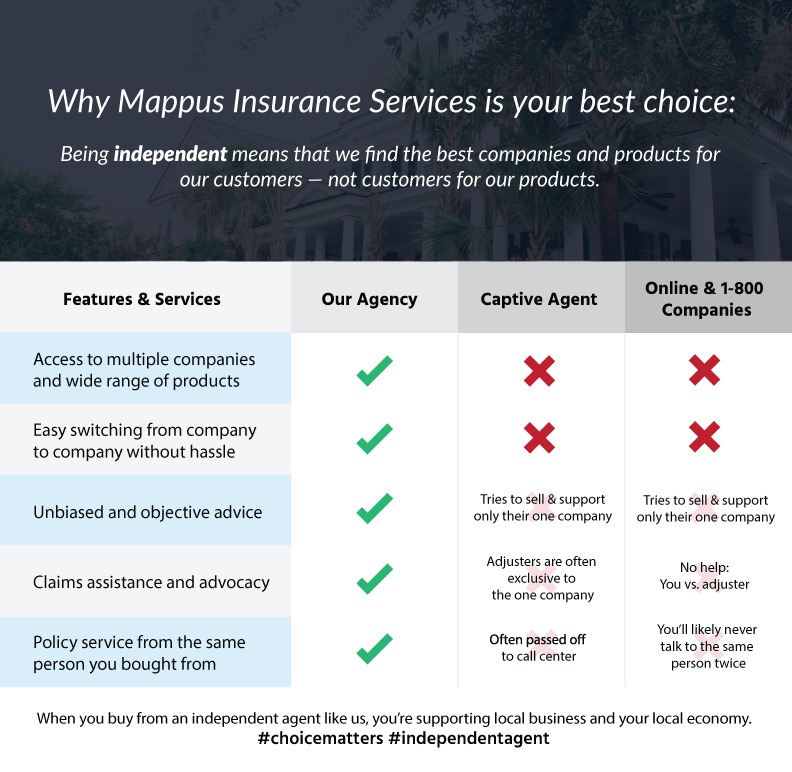 Get To Know Mappus Insurance - Mappus Insurance Agency Inc.
Mappus Insurance Agency is a locally owned and operated, independent insurance agency headquartered in Charleston, South Carolina. 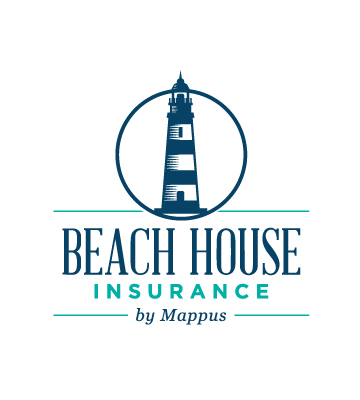 Founded in 1960 by Theodore Tobias Mappus, Jr., Mappus Insurance Agency advises individuals, families and local businesses of the Lowcountry on their risk and insurance needs. 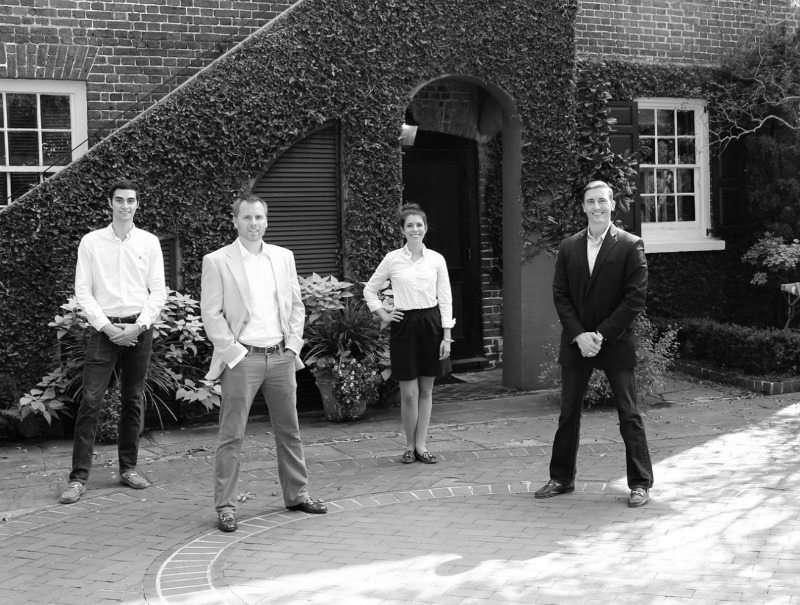 Mappus Insurance will provide honest, educational, professional advice, risk analysis, and tailored insurance products to protect the assets of families of the Lowcountry. These services will be provided by customer-oriented, dedicated, and experienced staff and modern technology. First, listen to our clients; then, provide a thorough, comprehensive risk review and educational experience so they can understand their risk profile, and together, create a blueprint and plan so they can make knowledgeable decisions and truly understand what it is they are purchasing. This process will help them protect their families, businesses, and assets against known and unknown risks. The process does not stop at the planning and implementation phase. 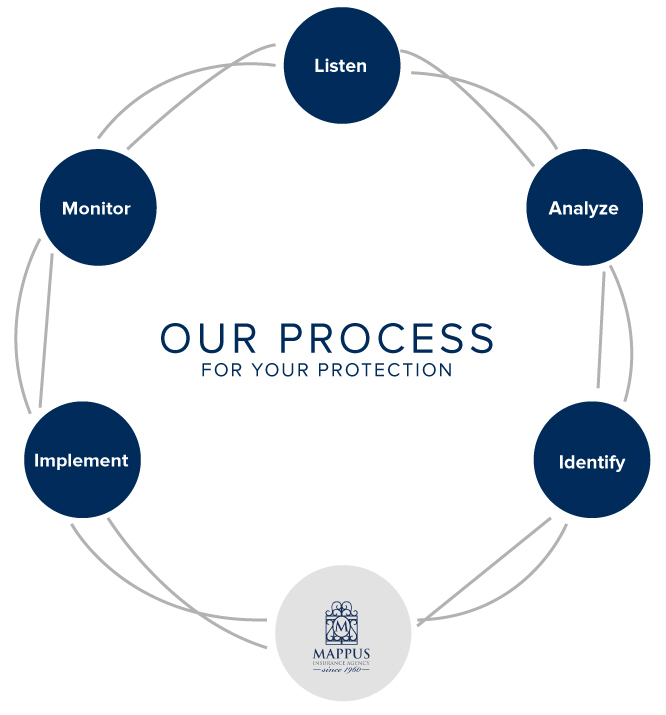 As a true ongoing partner, Mappus continuously monitors market dynamics and changes to a client’s risk profile and then advise them in order to make necessary changes to their insurance policies. In today’s litigious society, it is extremely important to stay ahead of the curve and be proactive when it comes to protection against liabilities. The Mappus process was designed after seeing a major gap is the relationship between insurance agencies and their policyholder clients. The process was designed with the client in mind, to protect what matters most. We call this unique, different and personalized process, Mappus365. Work with you to identify the insurance products and services that are right for you, your family or your business based on your unique risk exposures and use our access to multiple insurance companies to deliver those products. Advocate and Guide you through the claims process for a prompt and fair resolution of your claim. Help you solve problems related to your coverage or account. 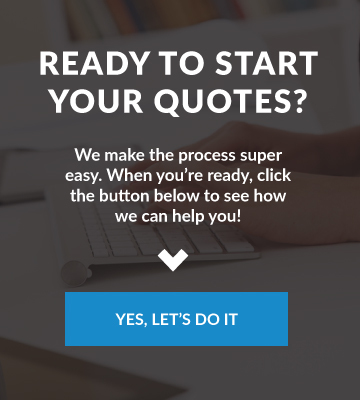 Educate and explain the coverages and options available to you through our agency. We pledge and promise this to you, our clients and ask that you let us know if we fail to meet our commitment, so we may take corrective action. The Mappus philosophy is simple. 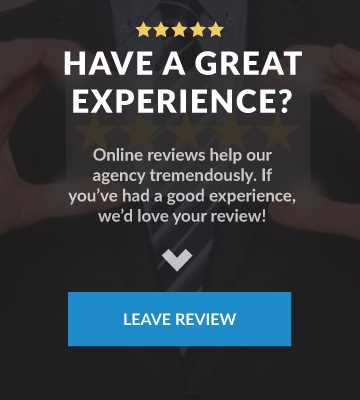 Mappus is a client-driven and focused organization where client satisfaction is not good enough, and where the desire is to “wow” clients and create raving fans through a different and bold customer experience. Mappus values each and every relationship: employees, clients and partners are the foundation of Mappus’ business. Mappus will do everything possible to provide the best and timeliest services, products, and pricing so long that it meets high standards of ethics, morals, and values. Mappus is part of the community and will give back where possible to help enrich those in the community. 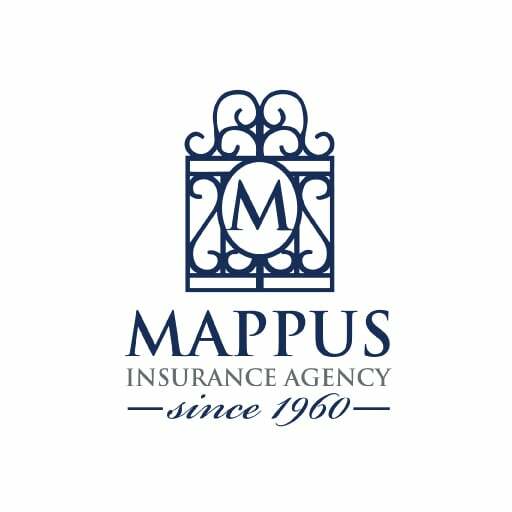 Mappus Insurance Agency represents a carefully selected group of financially strong, reputable insurance companies, therefore, we are able to offer you the best coverage at the most competitive price. The same situation holds true for insurance. You need insurance to drive a car, to purchase a house, to protect your family’s financial future and to run a small business. But if there was only one insurance company that offered only one type of insurance, car insurance, home insurance or business-owner policy — you wouldn’t have a choice. The only solution would be going to that one company.